In the beginning of August, I set out with a couple of buddies on a trip up to Roscommon, Michigan to visit the Forest Dunes Golf Resort. 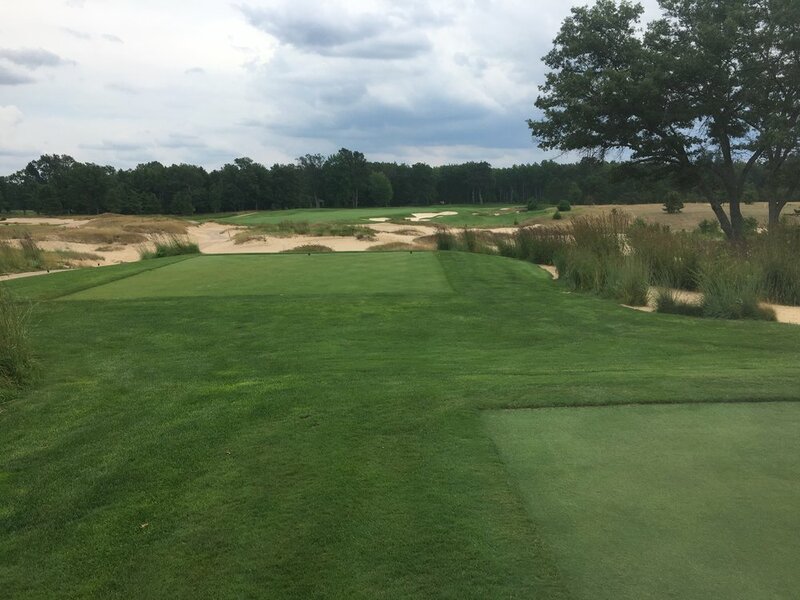 Over the years, I had heard a lot of rave reviews of Forest Dunes’ original course built in 1999 by Tom Weiskopf, and it had always been near the top of my list of Midwest courses that I wanted to visit. 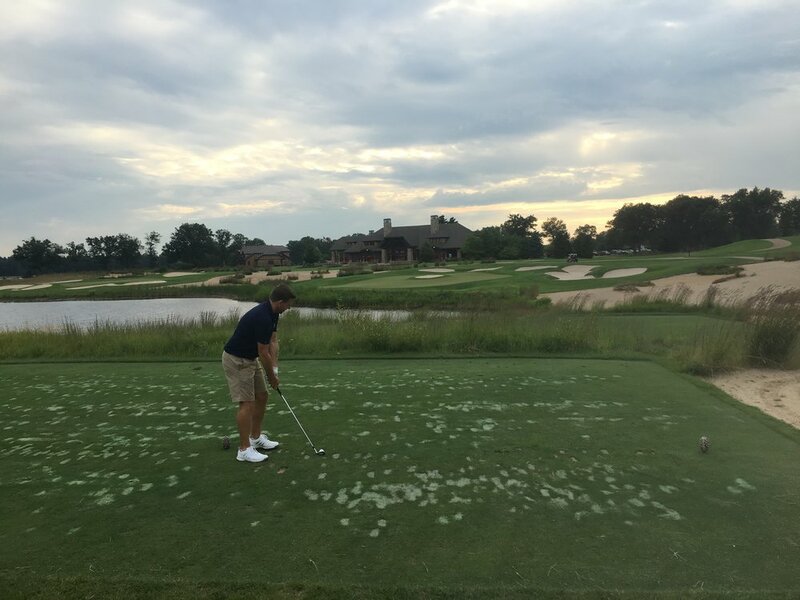 Unfortunately, I hadn’t found the right opportunity to make the five hour trip from Chicago to play the one course. 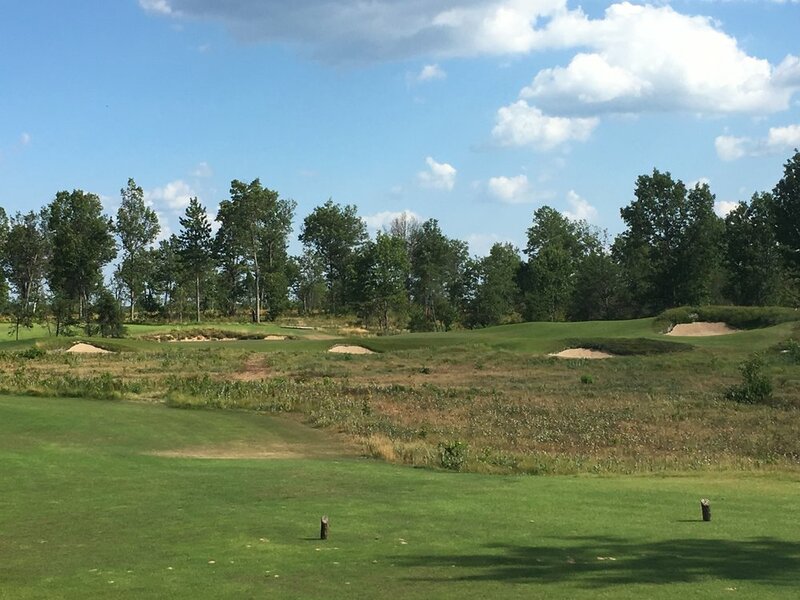 My mindset about Forest Dunes changed in 2014 when the resort announced that it had hired revered architect Tom Doak to design a second course at the northern Michigan resort. The plan was grand as Doak set out to build a revolutionary concept course called “The Loop” where golfers would play the holes in one direction one day and the other direction the following day. This concept would give the resort two different golf courses on the same plot of land and bring the property total up to 54 unique holes of golf and make Forest Dunes one of the Midwest’s best golf destination locations. The summer of 2016 saw preview play for “The Loop” course start, and I was anxious to get an early look at what could become a trend in golf course design. Given the landscape of today’s golf world, the practicality of a reversible golf course is extraordinary. 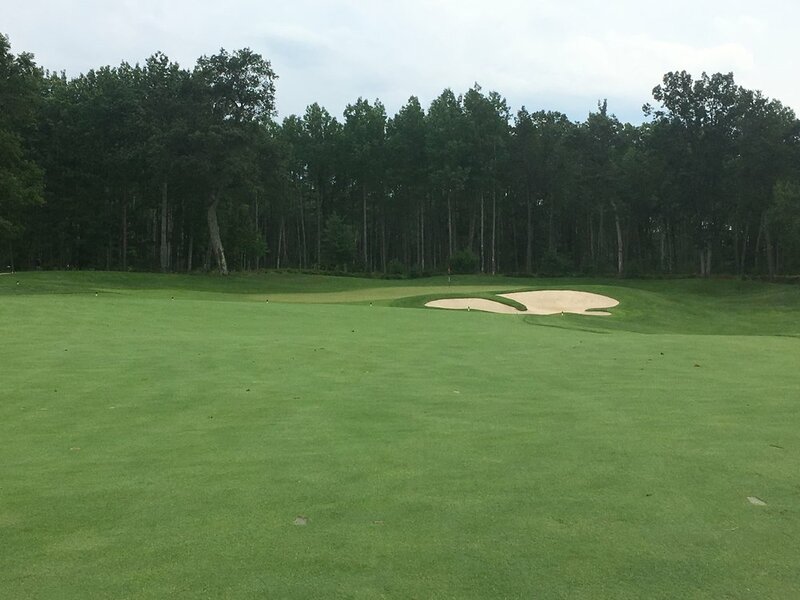 The benefits are appealing to both the golf course operator and consumer as for about the same cost each derives the benefit that two courses provide. 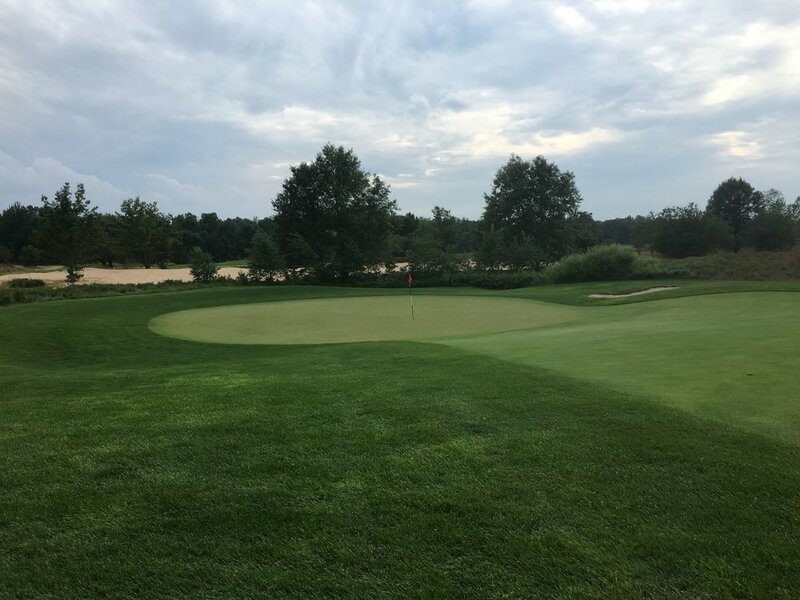 The Midwest has a number of great golf destinations and with the addition of The Loop, Forest Dunes immediately jumps up with the likes of Kohler, French Lick and soon to be monster getaway location, Sand Valley. Right now, I feel like Forest Dunes has the best 54-hole golf offering of any Midwest destination and its price point is cheaper than most that offer a similar quality of golf courses. 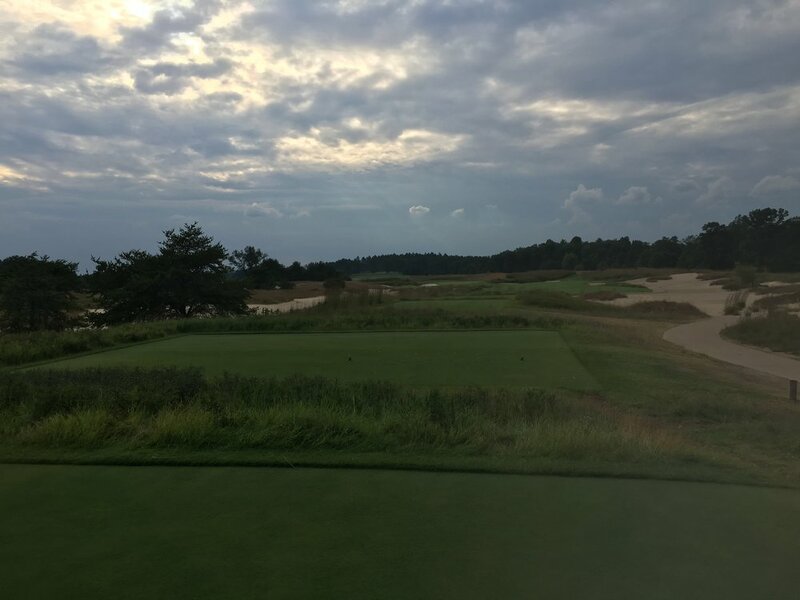 I would recommend it as a friends trip destination if you are looking for the pure golf experience due to it’s remote location limiting nightlife options. Now let’s take a look at the resort and courses. Our 4 bedroom villa at Forest Dunes. 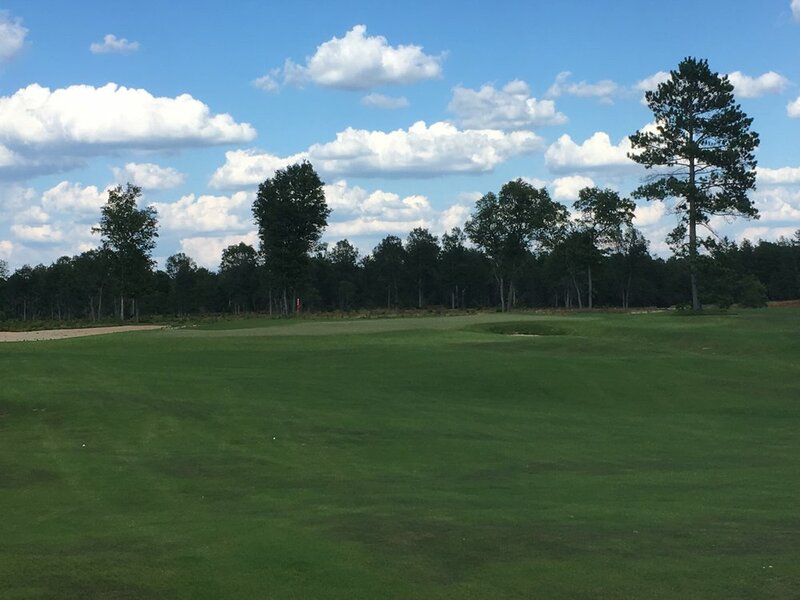 Pure Golf Experience - Forest Dunes boasts 54 strong golf holes, a spectacular range and practice area and its remote location will keep your group focused on golf. Value - Forest Dunes price point comes in cheaper than many other top-tier resorts in the midwest such as Kohler or French Lick. 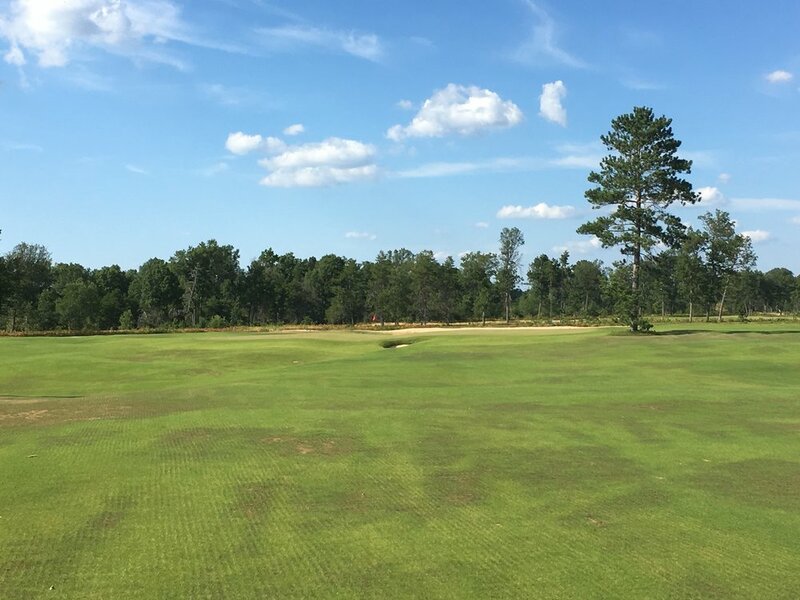 Course variety - The Loop offers players with a pure links golf experience while the original Forest Dunes course is your traditional american style golf course. Amenities - With a restaurant, bar and lodging all conveniently bunched close together once your group gets to the course, you won’t have to worry about going anywhere else. Firepit - Nothing is better than a firepit for you and your buddies to enjoy a few cocktails around. Another bonus is Forest Dunes is far from any major metro area which makes for epic stargazing. 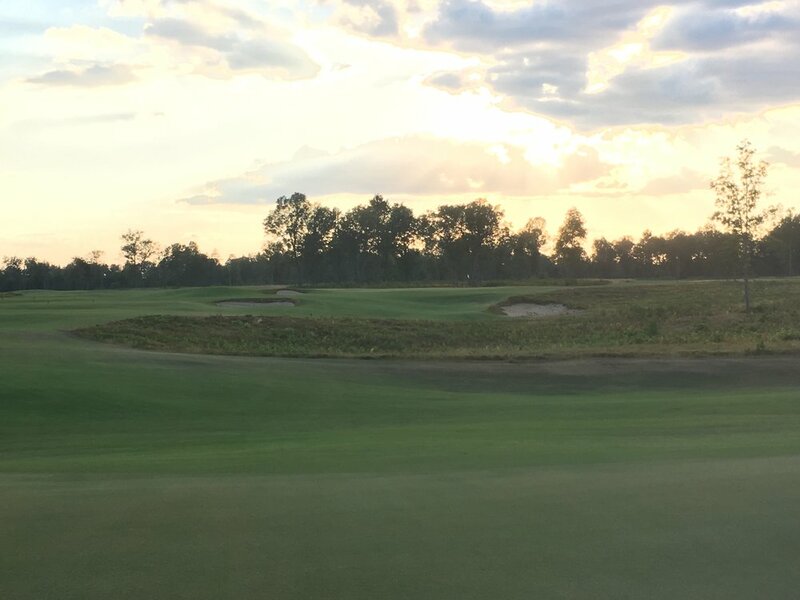 Michigan sunlight hours - In peak summer, golf can be played well after 9pm allowing your group plenty of time to fit in late afternoon rounds. Bugs - I had read about the bugs being bad at Forest Dunes, and I can’t stress enough the importance of bringing the strongest bug spray you can find. 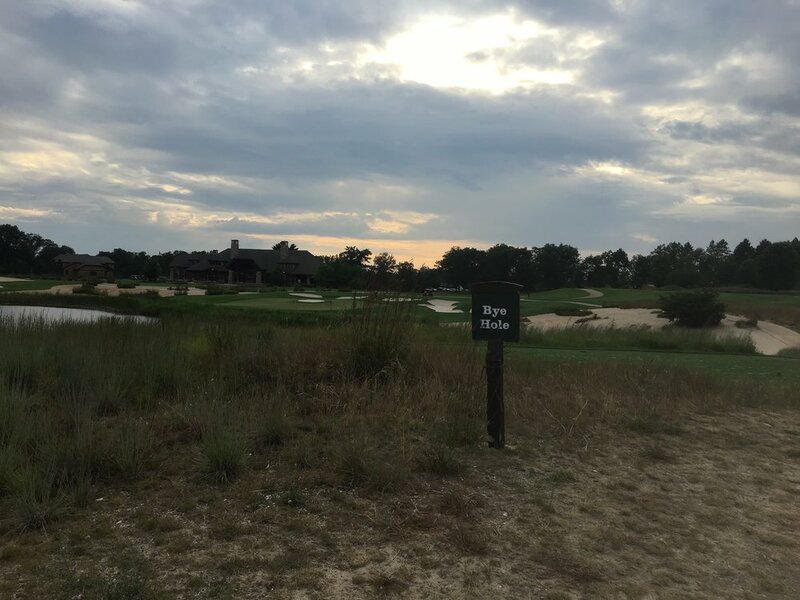 Remote Location - While Forest Dunes' remote location can be great for a golf trip, there are downsides as options outside of the clubhouse bar are limited. I will have detailed course reviews posted to the site soon, but here are the quick notes on what you need to know about each course. Playability - Architect Tom Doak built wide playing corridors which will keep the time spent looking for balls to a minimum. As I have seen at numerous Doak designs, he chose to defend par at the greens. His green complexes challenge the great players to hit extremely precise shots to have birdie opportunities, while the wide fairways make the average player always feel like they have a chance to score well. The playability makes The Loop a fun course for every type of golfer. Architectural Significance - This is a revolutionary design that will likely have a huge impact on the future of golf course design and the game itself. Doak masterfully routed and designed the greens to be played into from multiple angles, no easy task. Walking / Caddie Program - This is a pro for me because I love to walk, but The Loop is a walking only golf course. They have an excellent caddie program to help golfers navigate the course and the course is built for walking as the green to tee walks are minimal. Pure Links - The Loop is one of the few true links experiences in the United States and one of the only ones in the Midwest. The course was playing exceptionally firm and fast when I played and it welcomes all different types of shots. Frankly, The Loop is one of the best links golf experiences I have had (sadly, I have never been to Great Britain or Ireland). Ranked 21st on Golf Digest’s 100 best you can play. Conditioning - Forest Dunes is one of the best maintained public golf courses that I have ever played. The greens were fast and true and the fairways were immaculate. In terms of a resort course, the conditioning is second to none. Hole Variety - Weiskopf did an excellent job mixing up holes at Forest Dunes as there is a great blend of short par 4s and 5s that test a player’s strategy as well as some ballbusting long par 4s that challenges the tee-to-green game. 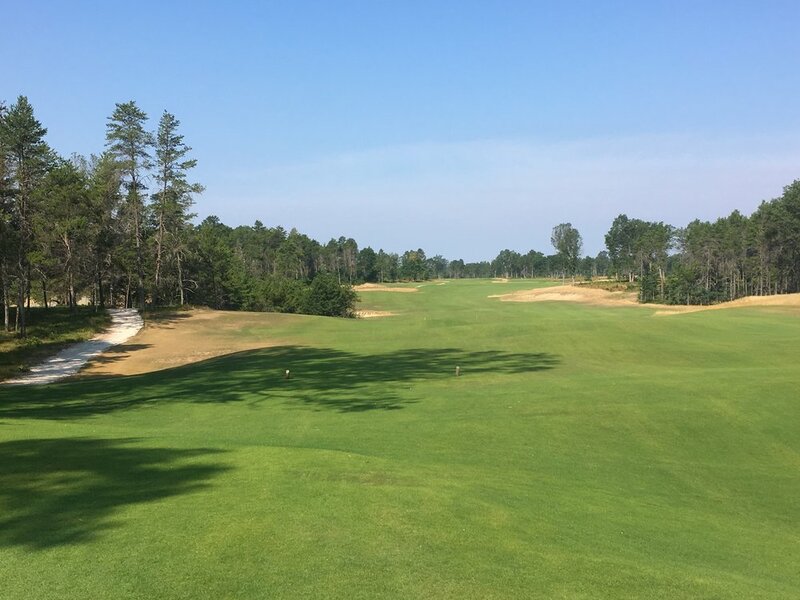 Naturalness & Beauty - The front 9 at Forest Dunes weaves through one of Northern Michigan’s signature pine tree forests before the back 9 opens up and plays in a more open sand dune setting. Weiskopf did a spectacular job blending his design with nature as rarely do holes feel like they are out of place. While The Loop offers a rugged feel, the original Forest Dunes course offers guests a beautiful nature setting. 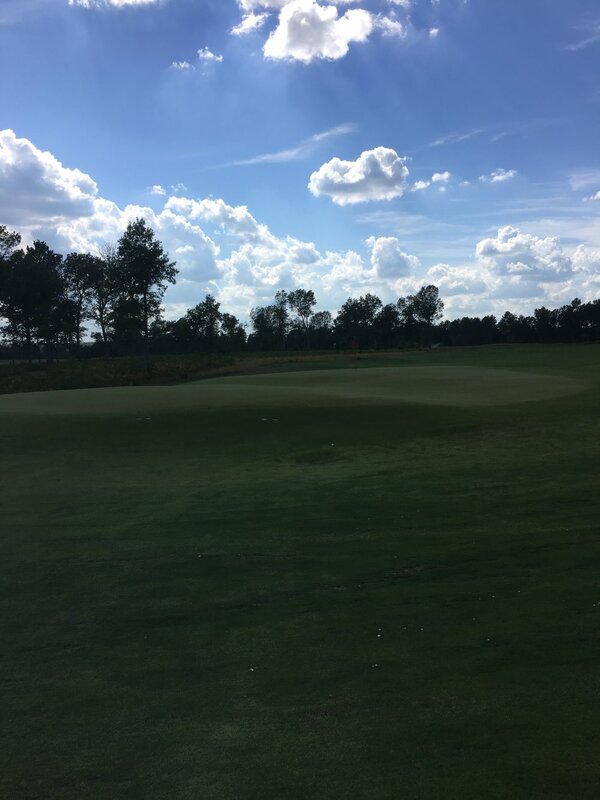 The 19th Hole - A unique quirk that Forest Dunes has is the 19th hole. After walking off the 18th green, Weiskopf threw a short par 3 in to settle any bets. The 117 yard hole is a short wedge shot with a bunker in the middle of the green ala Riviera’s 6th hole. Defense to Par - If you are looking for a challenge, Forest Dunes is sure to provide it. Players are forced to hit precise tee shots and iron shots to score. It’s 7100+ yard layout tests every aspect of your game. Playability - Forest Dunes playing corridors are a stark contrast to The Loop’s as most are tight and tree-lined with trouble lurking for any wayward shot. I would like to see a chainsaw taken to hundreds of trees to make playing the course more fun for higher handicaps. Bugs - I mentioned the bugs earlier, but seriously, search for the strongest bug spray available for this course.